Small businesses aren’t really a new thing – the concept has existed for ages. On the other hand, the level of popularity they’re enjoying right now is pretty much unprecedented. This popularity has brought on a whole new way of doing business to the table; there are small businesses sprouting all around the world and people running them know little about doing business, to begin with: their experience grows as they expand. Productivity is one of the main raised questions here, and, luckily, it’s much easier for the small businesses to find an answer for it than the case is with large conglomerates. With an entrepreneur’s budget in mind, here are some low-cost ways that can help you boost your productivity. Large companies tend to hire “in bulk”, and no one can blame them: with the manpower a large business requires to run, a much lower employee dedication and efficiency are to be expected. Small businesses, on the other hand, have a say here: instead of compensating for quality with quantity, small business owners are not only given the chance to hire smaller teams but often have no other choice. This means that the traditional hiring process that includes CVs, cover letters and qualifications isn’t the most efficient option. A highly-educated and experienced employee should certainly be taken into consideration, but someone who lacks in terms of qualifications may well prove to be a better choice. With the incredible number of things that can be learned online these days, using big data to find individuals who are actually in love with the position that you would like to offer can turn out to be a much better option. This means that you can even use social media to research the job applicants to learn more about their interests. Hiring smartly is an essential, potentially low-cost way to build an efficient team – find a team that is just as passionate about your field of work as you are, and the only thing you’ll have to do is get out of their way! The downsides of the typical work hours are many – the world is slowly growing sick of the traditional “9-5” routine. In truth, these work hours are severely outdated, and many professionals would actually be much more efficient at work if presented with freedom to work when they find suitable. Of course, an unmotivated employee who’s in it solely for the money doesn’t fit the modern working schedule, and it’s your job, as a business owner, to hire as many passionate, focused and dedicated people as you can. Naturally, there will always be unmotivated workers, regardless of how good a job you do at hiring, which is why you need to be somewhat flexible with each employee. No matter when your work hours are, it is your duty to provide a productive environment, and lighting plays a key role here. Seeing as how you can’t really influence the natural light your office receives during the day (let’s be honest, all the sunny side offices are either taken or extremely expensive), it’s important that you opt for LED or CFL lighting, which will help you illuminate the office space with artificial lighting that’s as close to the sunlight as possible. For example, even if your office is located in Australia’s biggest city, which gets a ton of sunlight annually, you may still experience a problem of bad window setup and a shadowy location, to begin with. 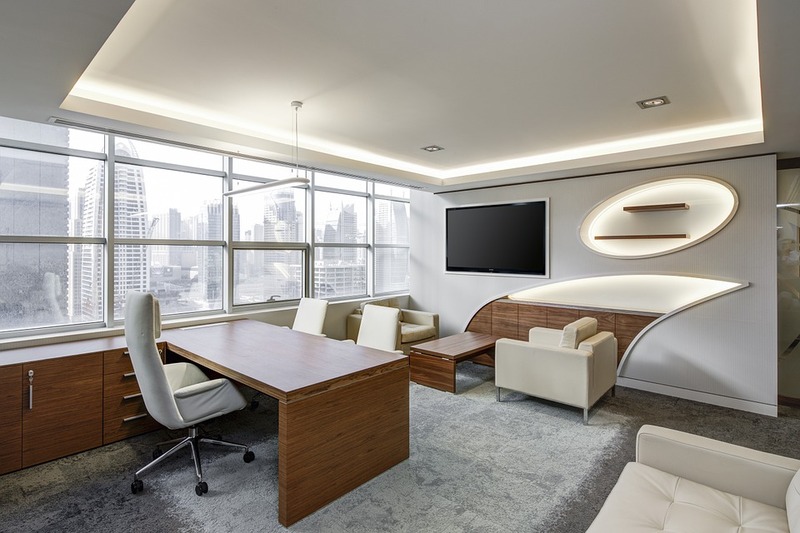 An experienced Sydney electrician team, however, will likely know exactly how to illuminate this type of an office, and it’s your job to do all the necessary research and find an agency that excels at its job. A typical gloomy office from the 20th century will never breathe productivity, focus, and dedication, and the more comfortable your employees are with each other, the better job they’ll do as a team. It is fundamental that you and your employees realize what team building is about: rather than a bunch of boring interactive events, team building means taking every single opportunity to bring your team closer together. This can include everything from grabbing some drinks towards the end of the week to events that feature traveling to a remote location and engaging in interactive exercises. No one can force productivity onto people: hiring a suitable workforce is the first step towards realizing this. A relaxed work ethic and environment are essential aspects of a productive office, and so is providing quality lighting. Finally, it is you who needs to inspire your team to work as a dedicated machine towards the same goal: success.